This is a Seasonal, Full-time position. Performing Arts at Banff Centre for Arts and Creativity is looking for experienced Sound, Staging, and Lighting Technicians to join their high-functioning team as additional support during the Banff Summer Arts Festival. These are termed positions from early May to late August 2019 with varying start and end dates available. Level 1 Technicians possess at least 2000 hours' experience as a working technician. Level 2 Technicians possess at least 3 years' experience as a working technician. Level 3 Technicians possess at least 5 years' experience as a working technician. In accordance with CUPE 4318, these are unionized, termed, hourly support staff positions, subject to a 500-hour probation period. 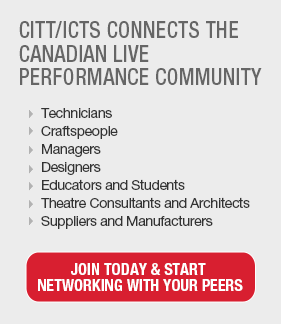 Theatre Practitioners will work up to 40 hours per week on a rotating schedule. Scheduling is based on business needs. Banff Centre offers on-the-job training, a supportive work environment, a staff cafeteria, subsidized fitness club memberships, staff events, and free or reduced admission to many Banff Centre performances and events. Subsidized local housing is available during the contract period. Founded in 1933, Banff Centre for Arts and Creativity is a learning organization built upon an extraordinary legacy of excellence in artistic and creative development. What started as a single course in drama has grown to become the global organization leading in arts, culture, and creativity across dozens of disciplines. From our home in the stunning Canadian Rocky Mountains, Banff Centre for Arts and Creativity aims to inspire everyone who attends our campus – artists, leaders, and thinkers – to unleash their creative potential.